Fall presents so many wonderful learning opportunities and areas for research and adventure. 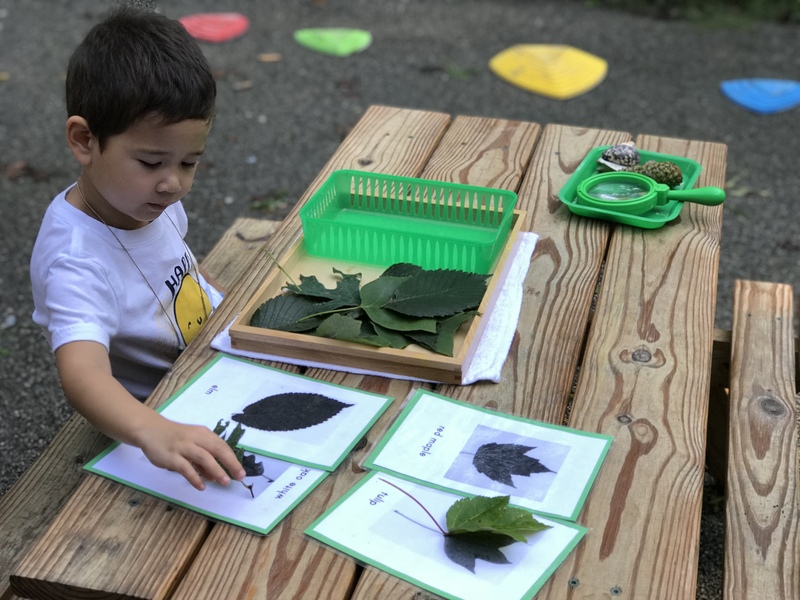 It is easy to start a conversation with your child just by going on nature walks over the course of the season and seeing all the changes outside. 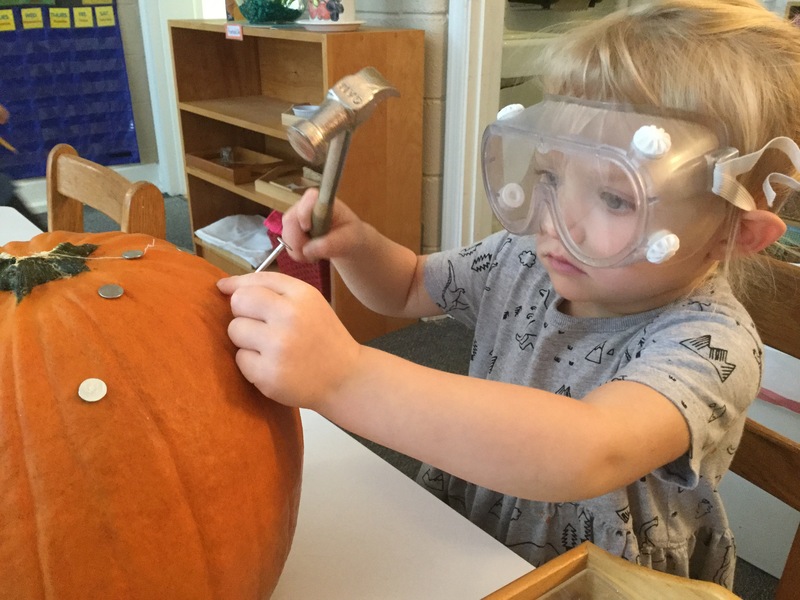 Pumpkin Hammering: This is one of the Early Childhood’s favorite fall works and all you need are concrete/roofing nails, a child appropriate hammer, and a pumpkin! Set this up outside for a wonderful fine motor Fall activity! Leaf Rubbing and Identifying: Research some leaves native to your region. The Virginia Department of Forestry has a great educational website with a free tree identification booklet you can download for free and print off. Create a matching object to card work where you and your child can identify the different leaves by shape. You can then take the leaves and place a plain piece of white paper on top and used a colored crayon to imprint the leaf onto the piece of paper. Create and make a leaf rubbing booklet! 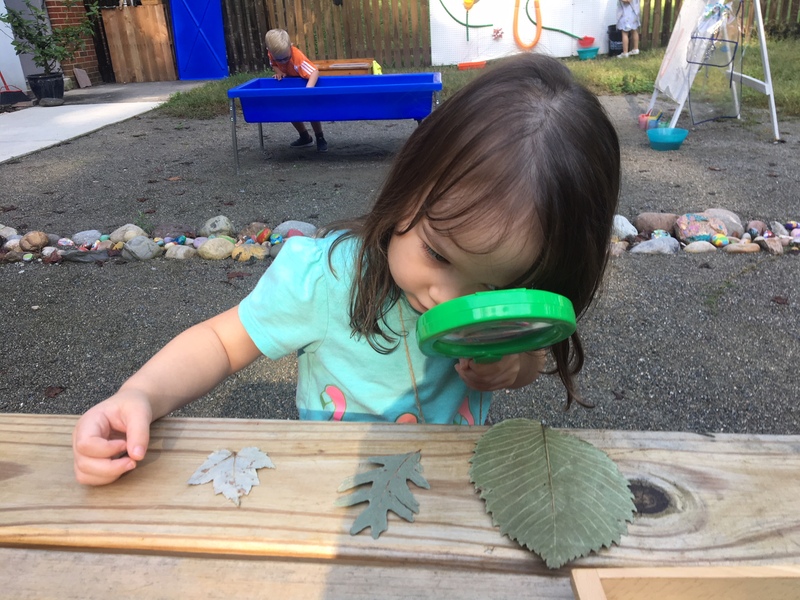 Nature Walks and Observations: A nature walk is a simple, yet extremely enjoyable activity that you can do with your child at any age. For the younger child, take a piece of masking tape and make a sticky bracelet (sticky side facing away from skin) and collect things on your walk. For the 3-6 year old, collect numerous outdoor objects and then bring them home to explore and point out observations (i.e. color, texture, sound). 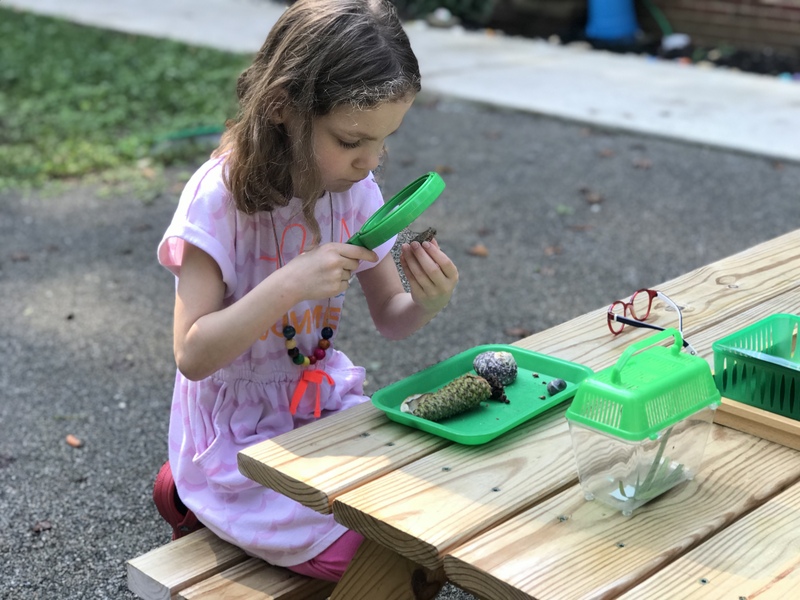 For the Elementary child, after collecting your outdoor items, turn it into research by finding out more about the objects and writing in a nature journal. 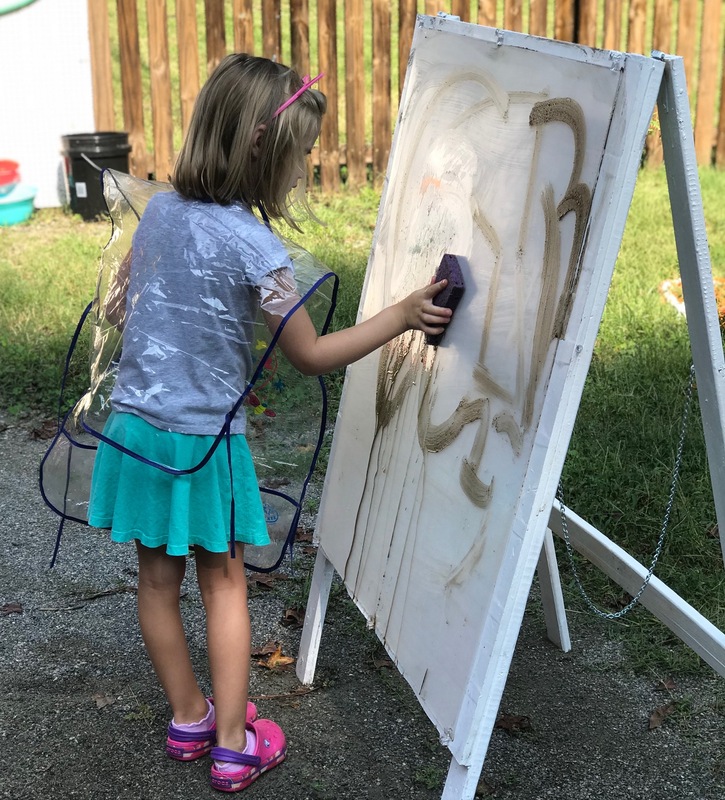 Mud Painting: Embrace the mess! Cover an old easel or make one and cover a piece of clear vinyl (can be purchased at any home improvement store). Stir up some mud and water, add an apron, paintbrush, and sponge, and you’re well on your way to a messy, fun activity! Fall Gardening: Fall is a wonderful time for gardening lessons. Hearty leafy greens, carrots, radishes, and brussels sprouts are easy to grow and harvest during the winter season. 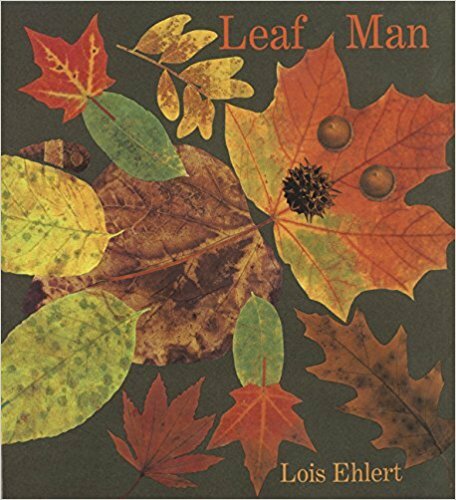 Make a Fall Collage: We love Leaf Man by Lois Ehlert and both our Toddler and Primary classrooms love going on a Nature Walk to collect colorful leaves and to make our own Leaf Men! This is also a wonderful time to talk about why leaves change colors in the Fall.